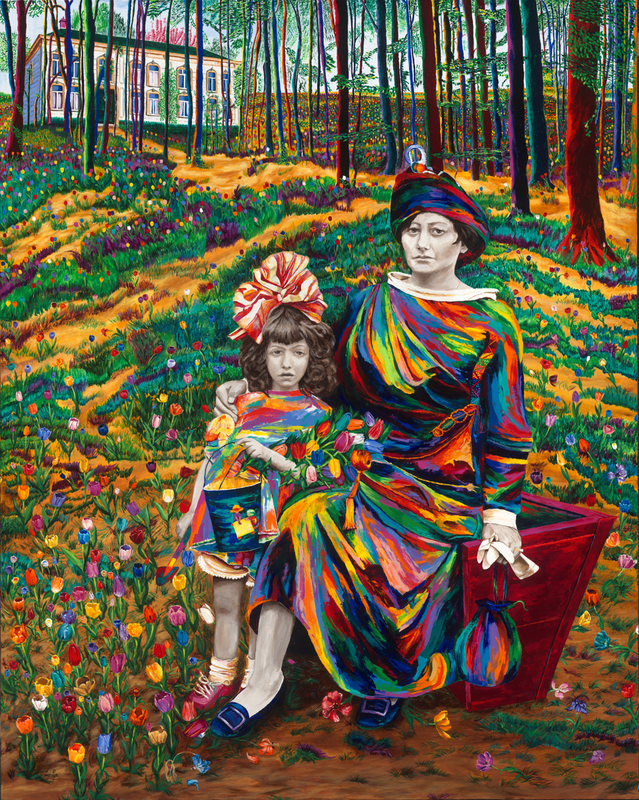 A portrait of Linzi Lynn's mother and grandmother in Holland. Their clothes were designed by Linzi's grandfather who was a fashion designer. Limited Edition of 5. Two smaller sizes available upon request. Giclée on canvas, hand-embellished and varnished by the artist. Comes with a white museum floating frame.